According to the National Spinal Cord Injury Statistical Center, there are 17,000 new cases of spinal injury in the U.S. every year. The effects of these injuries can be devastating for victims and their families. For instance, spinal cord injury can cost victims over $1 million in medical costs alone for high tetraplegia. Individuals with paraplegia can face medical expenses as high as $519,000 in the first year of injury. Medical costs can be as high as $185,111 per year, in subsequent years. These costs don’t begin to factor in lost wages and lost productivity. The National Spinal Cord Injury Statistical Center estimates that these losses can be as much as $72,047 a year. Most families don’t have the resources to pay these costs. However, the law offers important protections for spinal injury victims in Cedar Rapids, Iowa. For instance, you may be able to collect a recovery from insurers or from negligent parties if you were hurt in a car accident, slip and fall accident, or due to the negligence or neglect of another person or party. If you or a loved one has suffered this injury in Cedar Rapids, Iowa, you may want to speak to the spinal injury lawyers at Eells & Tronvold Law Offices, P.L.C. Our firm can review the circumstances of your accident and fight to help you receive the recovery you may deserve under the law. Call us today at 319-393-1020. Hospitalization. In the days and weeks after your spinal injury, you may undergo surgery, may require intensive care, and may spend some time in the hospital. During this time, families and survivors may be overwhelmed with the information presented. 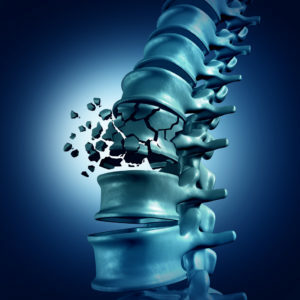 There are many different types of spinal injuries and these injuries can impact different body systems and movement in different ways. According to the Christopher & Dana Reeve Foundation, your spinal injury may be complete or incomplete, and the degree of paralysis will vary based on where your injury took place and the extent of the damage. Medical costs. Because the medical costs, rehabilitation costs, and nursing costs associated with spinal injury can be so expensive, it is important to consider your options. Your own medical insurance may be able to cover most of the costs of spinal injury, though some insurance may not cover some of the rehabilitation required. For instance, individuals with spinal injury may want to see a counselor to manage depression and adjustment challenges that come with spinal injury. While insurance covers major psychiatric conditions, most insurance doesn’t cover counseling. However, you may be able to receive money from insurance companies or from negligent parties if you were injured in a car accident or slip and fall accident. Eells & Tronvold Law Offices, P.L.C. are spinal injury lawyers in Cedar Rapids, Iowa. Our firm can speak to insurance adjusters, read over insurance policies, and fight to help you get the maximum possible recovery permitted under the law. Our firm can also review the details of your accident to pursue negligent parties either inside or outside of court. Rehabilitation. Choosing the right rehabilitation center after your injury is also important. According to the Christopher & Dana Reeve Foundation, it is important to consider whether a center is appropriate for your age and for your particular injury. Finding the right center can make an immense difference in your recovery and adjustment to life. Rehabilitation centers often have teams of doctors who can help patients with pain management, and rehabilitation nurses who are experts on self-care, and goal-setting for patients. Rehabilitation centers may have occupational therapists who can help individuals and their families make proper life adjustments after paralysis. The better the rehabilitation facility, the better integrated care you’ll receive. Patients who are served by a proper team of therapists can better find ways to adjust to their injuries and enjoy better quality of life. However, these centers can be costly. Families struggling to pay these bills may want to speak to the spinal injury attorneys at Eells & Tronvold Law Offices, P.L.C. in Cedar Rapids, Iowa. Our firm can help you understand your legal options for recovery following a severe injury. Lost wages. Individuals who experience a spinal injury may be permanently paralyzed and no longer able to return to work. Others may have to miss weeks or months from work in order to undergo rehabilitation. A serious injury can alter your life. You may face new challenges and adjustments. You may have to change jobs or may need to take some time away from work. You may be facing medical expenses and expenses for medical equipment and nursing services. Because spinal injury is so serious, victims are often able to seek maximum recoveries in personal injury lawsuits. Under the law, you may be entitled to receive a recovery for your medical costs, rehabilitation expenses, lost wages, and pain and suffering damages. Eells & Tronvold Law Offices, P.L.C. are spinal injury attorneys in Cedar Rapids, Iowa who can work with you and your family to pursue your recovery. We can fight insurance companies, speak to adjusters, and seek compensation from negligent parties. Eells & Tronvold Law Offices, P.L.C. are spinal injury lawyers in Cedar Rapids, Iowa who fight to help families and victims seek justice under the law. However, you may only have a limited amount of time to seek the recovery you may deserve. 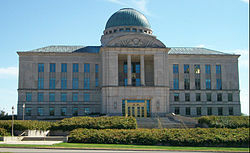 Iowa’s statute of limitations laws may limit how long you have to seek damages from negligent parties or from insurers. You are not alone. Contact our firm today to learn more about your rights under the law.